By Kay Tan in Desktop. Updated on January 24, 2019 . The ‘Open With’ feature in right-click menu allows us to open a specific file with applications other than the one associated with the document type. Normally it will display all compatible apps to open a specific file but sometimes, it will display more than one selection for the same app in the ‘Open With’ menu. If you’re annoyed by this harmless bug, we have a solution to remove duplicate apps in the ‘Open With’ menu. Copy the following coding and paste in Terminal application, then press Enter. 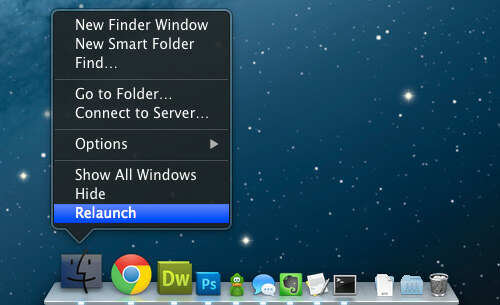 After that, relaunch Finder by holding down the Alt key and right clicking the Finder icon in the Dock, then click Relaunch. That’s it! 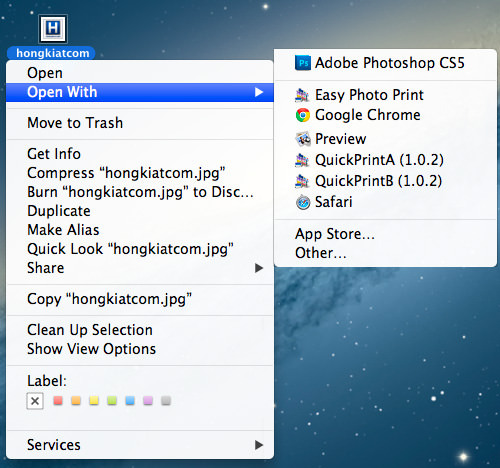 Try to right-click a file and go to ‘Open With’ menu. You will see all the duplicate app icons removed.